Hire a wedding band in Staffordshire or the surrounding area to complete your special day. Our bands play danceable rock, pop, soul and funk and more! Finding the right band for your wedding can be difficult: with so much choice, where do you start? Function Central has made it easy. We only use the most professional and talented Staffordshire wedding bands – they're guaranteed to give you an outstanding performance, happy guests and a memories you'll cherish forever. Our wedding bands have performed in every corner of the county, including: Stoke-on-Trent, Tamworth, Newcastle-under-Lyme, Burton-upon-Trent, Stafford, Lichfield, Cannock, Burntwood, Kidsgrove, Rugeley, Leek, Biddulph, Hednesford, Stone, Wombourne, Uttoxeter, Heath Hayes, Cheadle and Wimblebury. If you're a rock fan and you want to celebrate the boys being back in town, you’re in the right place! Staffordshire is the home county of Phil Lynott of Thin Lizzy, K.K. Downing of Judas Priest and Robert Plant of Led Zeppelin – inspiring stuff for our Staffordshire bands for hire, who'll get even the shyest crowd on their feet and dancing along with rock, pop and indie classics! The bands listed on this page specialise in mainstream, danceable and melodic pop music that everyone will enjoy. But we have a range of wedding musicians in Staffordshire suitable for all tastes and all parts of your day. How about a harpist or string quartet for your wedding ceremony, followed by an acoustic guitar vocalist to keep guests entertained during your photos. Our Staffordshire jazz bands are ideal for creating a relaxed vibe for your wedding meal. If you're looking for something different, hire a Staffordshire ceilidh band for an inclusive, barnstorming knees-up you won't forget. 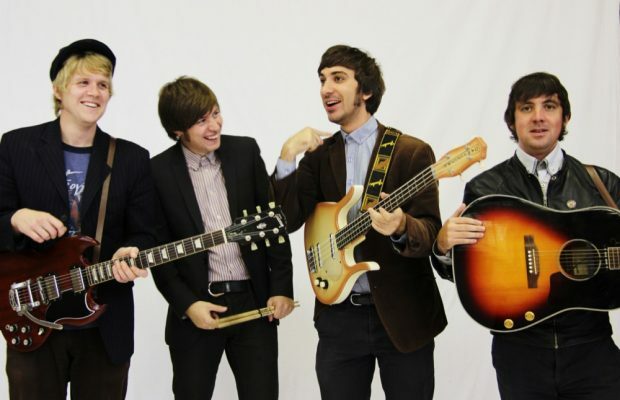 Fun and lively male-fronted wedding party band covering rock and pop music from the 1950s to the present day, from Jerry Lee Lewis to Jake Bugg, via Duran Duran and Oasis. DJ service, acoustic sets and female vocalist available. Young and animated brass band with an extensive song list of rock and pop floor-fillers. This groundbreaking group have performed for royalty and offer the perfect alternative entertainment for your wedding or event! Larger line-ups available. Vibrant female vocal and guitar duo playing beautiful, live, acoustic music for your wedding or event. Their romantic classics alongside indie classics establish the perfect chilled-out mood. Polished and versatile party and wedding band playing pop, soul, dance, electronic and R&B music. Additional musicians also available. Exceptional party and wedding band playing everything from vintage 1950s rock’n’roll to cutting edge pop, indie and R&B. High profile clients include BT, Mini Cooper and Microsoft, and over 200 positive reviews! Background acoustic duo sets, DJ service and larger line-ups available. Low season discounts available. World-class pop, funk and soul function band, refreshing and recreating the classic soul sounds of the 60s, 70s and 80s, alongside soul-infused contemporary pop and R&B. DJ service and jazz/acoustic afternoon music available. Youthful and lively party/wedding ceilidh band made up of professional musicians performing a repertoire of traditional Scottish dance music. Available additional musicians or DJ service. Vibrant steel band playing the sounds of turquoise seas, sunshine and swaying palm trees! Huge repertoire of traditional Caribbean music as well as reggae and pop from The Beach Boys to Bruno Mars. Available in larger line-ups. Quirky and retro acoustic trio and band playing modern pop songs in a gypsy jazz style. Available as a quartet and quintet with stunning female vocalists and percussion. Free laptop DJ service. Sensational, young and energetic 4 to 6-piece party band featuring superb female vocals and a dynamic and varied set list. Extra musicians, professional DJ and acoustic afternoon sets available. One of our leading wedding bands in the North West, Hudson are a powerful trio playing everything from uptempo 50s rock'n'roll to last week's number 1. DJ service, extra musicians and acoustic sets for your drinks reception or meal also available. Brand new luxury 8 to 12-piece show band featuring some of the most outstanding musicians in Manchester, who have performed alongside artists such as Paloma Faith, JLS, James Morrison and The Script. Stylish corporate and wedding band, featuring female lead vocals and a large set list of pop, Motown, soul, jazz, jive and vintage rock'n'roll. Booking options include male vocalist, brass section, afternoon/dinner jazz sets and DJ service. Funky soul & Motown band featuring stunning female vocals giving an authentic tribute to the greats of the genre! Additional musicians and laptop DJ service also available. 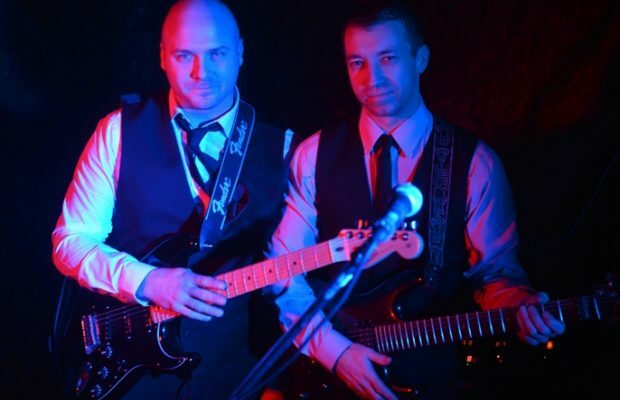 Experienced male-fronted party and wedding band with a fantastic live show and a song list covering rock and pop music from The Beatles and Elvis to Ed Sheeran and Bruno Mars. Extra musicians, afternoon acoustic sets and DJ service available! 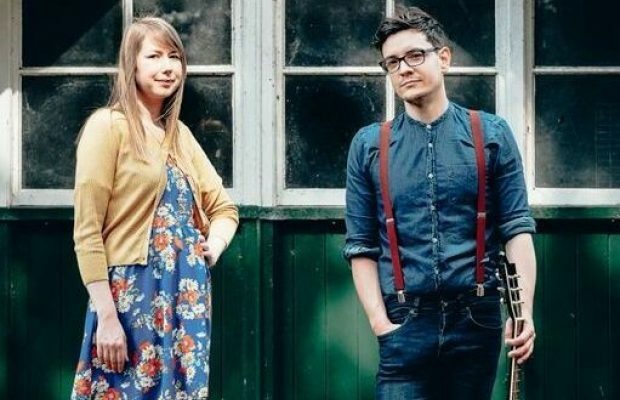 Talented party duo in the North West, featuring custom backing tracks and stunning harmonies. The duo’s song list ranges from classics by The Beatles to today's hits. Acoustic or electric sets available.